Potlatch, Idaho, is a small town on the edge of the Palouse region of Idaho, originally built to house the employees of the world’s largest white pine sawmill. 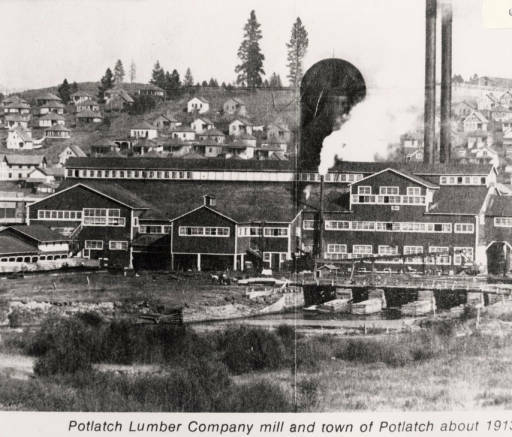 The Potlatch Lumber Company’s mill in Potlatch employed hundreds in its almost eighty-year lifespan and produced millions upon millions of board feet of lumber. In 1903, the Potlatch Lumber Company was incorporated by William Deary of the Northland Pine Company (a company established by the Weyerhaeuser Syndicate) and Henry Turrish of Wisconsin Log and Lumber. These men who were originally competitors chose to collaborate in pursuit of keeping land prices down by merging their companies to form the Potlatch Lumber Company. The mill opened in 1906 and processed the company’s holdings of over 100,000 acres of western white pine and other timber holdings around the region. The mill was one of the largest sawmills in the United States at the time and was the largest white pine sawmill in the world. 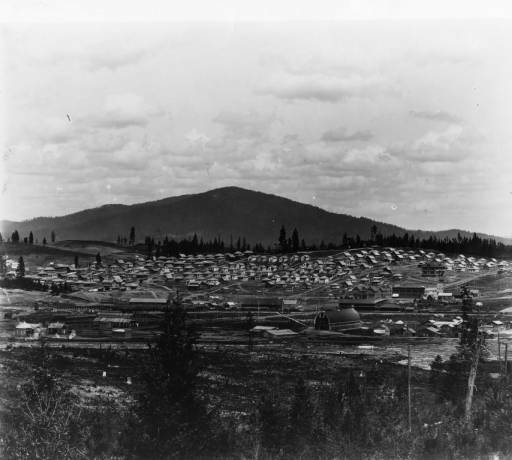 The company soon decided to build a town on the hills near the mill to house their employees. Established with 128 homes and soon after a hotel, churches, a general store, and schools, the town continued to grow. 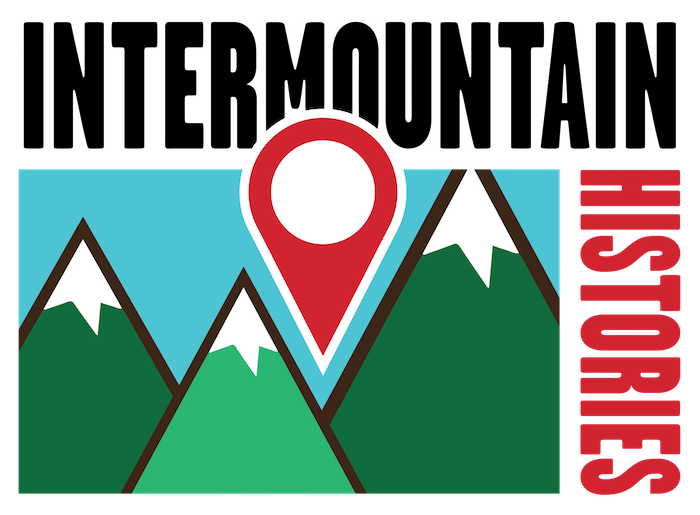 The town, aptly named Potlatch, symbolized pride for the company. By 1907 over two hundred houses had been built. Much of the workers housing had been constructed in haste, often with green lumber, resulting in constant remodeling of windows, doors, and flooring. 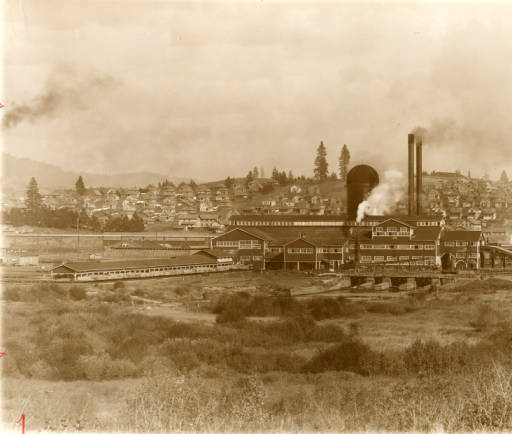 Company Towns were not uncommon in the Pacific Northwest, dozens of them dotted across the landscapes of Idaho, Washington and Oregon. These towns would see a great “boom” but most met the same fate when a “bust” occurred and the communities shrunk into shells of their former selves. 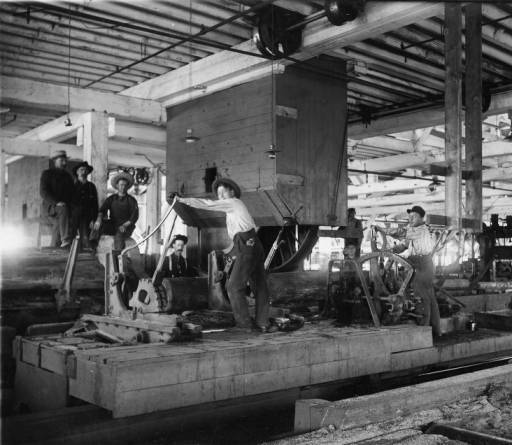 When the mill first opened it could cut 350,000 feet of lumber in a single ten-hour shift. An eighteen-hundred horsepower steam engine powered the mill and drove a series of belts that worked the various machines and implements. The power plant produced enough excess steam to heat many of the houses in town. In its early days the mill employed five hundred workers and thirty horses to operate. 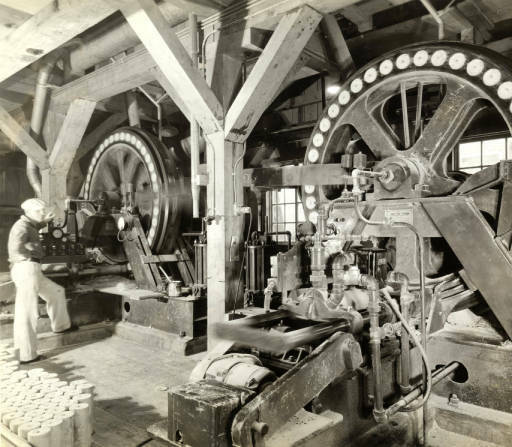 In the 1950s, the mill transitioned from its steam engine and series of belts and pullies, to individual electric motors on machines, modernizing the facility. 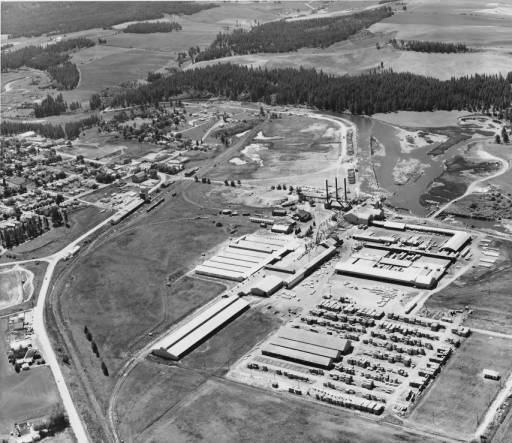 Although there had been a lot of product moving through the mill in the past several decades, the mill had begun to downsize and in August 1981 the sawmill closed due to dropping lumber prices in a depressed market, forcing two hundred people out of work. Workers and residents hoped, like several closures before, that it would only be a temporary shut-down until the market recovered. 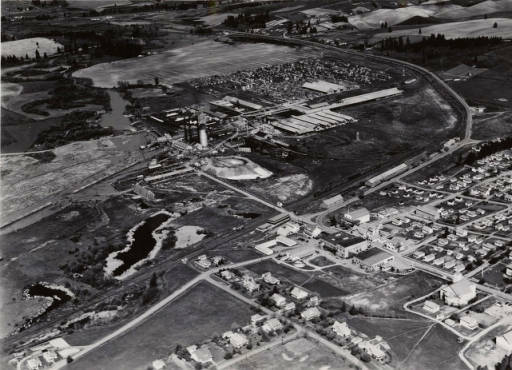 In March 1983, however, Potlatch Corporation announced that the closure would be permanent, and the mill was quickly torn down and the materials salvaged. During its heyday Potlatch had over fifteen-hundred residents, today the population has idled around eight hundred. 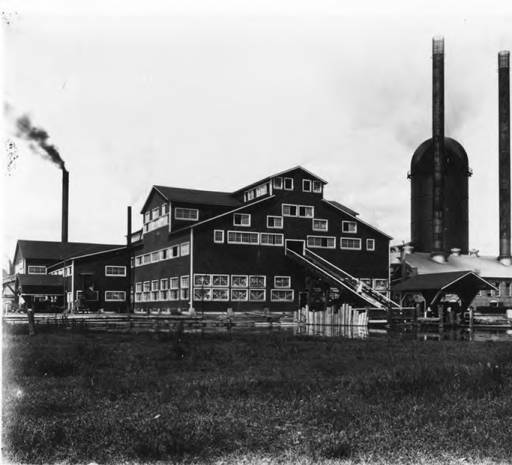 Zac Carscallen, University of Idaho, “Potlatch Lumber Mill and the Company Town,” Intermountain Histories, accessed April 19, 2019, https://www.intermountainhistories.org/items/show/112.